last night, i spent my first night in the darkroom, testing it as it is nearing completion. as i lay down to sleep, i seemed to have something biting me … i was hoping it wasn’t the EARTH Insulation. a few days ago, i had stapled the insulation to the wall to test that i was not affected by it. and in the morning, i easily saw the light streaming in where i have yet to finish of the build: cavity for electrical cable, around front door where i have yet to block out. so this morning i begin the last stages to the actual build. next stage will be to test /make/ fix all the systems: water; air; electricity; a place for everything and everything in it’s place. european-style cabin. the wood came all the way from estonia. baltic spruce. it was grown properly and it was not poisioned, unlike australian pine. the insulation, made of recycled glass apparently, is the tiniest bit itchy. hope it stays that way – tiniest. i have been handling the insulation all day, and so far, so good. This is, my last goodbye. Whether you read or not, is your choice. How you respond, is yours too. I will end my travel updates here. So in the weary words from a traveller at the end of a long journey, I know it’s not about the destination. Thank you for allowing me to feel I can share my experiments, and experiences with you. My Experiments with melatonin and dimethyltryptamine, Volume I.
own. She fasted from alcohol for the entire month of February. If she could complete an entire month without alcohol, why wouldn’t I be able to survive fasting from light for just one week? So for a week over February and March, I fasted from all light; natural and artificial. The first thing discussed in all experiments is why? Why do I want to conduct this study? Why do I want to know what the effects are on a human if we deprive them of light for a week. To begin I will first explain where I had first heard of this practice. While I was studying in Guatemala previously before coming to Mexico, I was asked by my teacher if I would like to help him with some construction work over the weekend at his property a short distance out of town. I agreed and ended up helping him over the duration of my stay in Guatemala. What he was building was a dome constructed using adobe earth bags. This dome once completed would then be used as a Dark Retreat. understanding that this practice was performed over millennia by many various different religious faiths, and spiritual practitioners. In India, the Hindus label the practice Kaya Kalpa. 49 days is a common length of duration in a Dark Room for the experienced. Tibetan Buddhist monks practiced retreating into darkness inside caves scattered over the Himalayan Mountain Range. in Islam and Taoism. There is even speculation that many rooms inside pyramids throughout Egypt were used for the same purpose. Dating the practice to be at least 5000 years old. It hasn’t been completely forgotten and it is still practiced today. Although it remains virtually unknown. The most well known, and largest Dark Retreat is run in the north of Thailand, by Mantak Chia. Through further research I was able to talk to one person first hand about their experience. I also met a few others who had practiced this, but we only spoke briefly. I found a detailed description of a Dark Retreat on the universal-tao website, but don’t know how they have come to some of their more specific findings. I did find some information about people’s experiences being locked in a room of darkness for extended periods of time; these people weren’t religious either, and were still practicing this today. They were criminals. And their dark room is called Solitary Confinement. Studies have been conducted on criminals who reported seeing, ¨flashing lights¨ along with people in the room with them, and ¨incredible light shows¨. This was coined, Prisoner’s Cinema, and has been experienced by many locked up in isolation and darkness this present day. What I found most intriguing regarding all the information was the effects on the human body when one isolated themselves from light. After 24 hours of the body being deprived of light, the brain begins to release melatonin. Melatonin is a hormone produced in the pineal gland. It is released at the moment of change of the light saturation in the atmosphere between the lunar and solar cycle of each day. At the detection of light in our retinas, the intrinsically photosensitive Retinal Ganglion Cells (ipRGCs) send messages/electrical impulses directly through the suprachiasmatic nucleus. From there, it runs through the fibres connected to the paraventricular nuclei, relating signals to the spinal cord, out the superior cervical ganglia (system associated with sympathy), and finally into the pineal gland. The pineal gland then responds by beginning or stopping the release of melatonin at the change of every solar cycle. So the body begins to release melatonin when it gets dark? Most living creatures experience this after every sunset. The difference would be that the amount released would accumulate into the body all day long, for seven days. What were the side effects of having an increasing release of melatonin in the brain? The answers may lie in our dreams. Patients that received high doses (50 mg) of melatonin for the treatment of Narcolepsy, reported of having extremely vivid dreams in their REM sleep cycle and duration of dream´s length were shown to have increased too. So potentially one may sleep and dream more with an excess of melatonin. Aside from melatonin, the body reacted in another similar fashion by a prolonged withdrawal from light. After day 3-5 the brain begins releasing dimethyltryptamine. his studies of dimethyltryptamine. Dr. Szara moved from Hungry and made his way to the US where later he would work for the US National Institute of Health. He has spent most his life studying the effects of dimethyltryptamine and believes that it can be used as a useful tool in psychotherapy and treating psychosis from forming in the mind. Dimethyltryptamine or DMT as it is commonly referred to, is also a class A drug in the US, UK, France, Canada, Australia, and New Zealand. Since its discovery of hallucinogenic properties, DMT has been synthesised in laboratories to be produced as a recreational drug. It is also found in plants used as medicine, and in rituals by the people living in the Andes region for over 3000 years. Both these hormones are released by our brain’s pineal gland. The pineal gland is a small endocrine gland (about the size of a grain of rice) and is located in a host of surrounding structures of the brain that are closely related to the processing of our emotions. Humans, as well as all animals, plant, fungi, and bacteria have a pineal gland. In all cases, each pineal gland has the ability to produce melatonin. Dimethyltryptamine on the other hand, isn’t. It is produced throughout different systems, in so far discovered, 80 different organisms. With all this information I was beginning to see that the body responded in a very unique way to complete darkness for sustained periods of time. Did this explain why religious teachers and spiritual practitioners used them? Not really. So that is what I wanted to investigate myself. What were the psychological effects to the mind when an increasing amount of melatonin and dimethyltryptamine is released naturally by the brain in controlled conditions? And Why would people want to do this, and have been for 5000 years? My hypothesis, I was going to get an understanding as to some of the secrets to the world. Like; how did they build the Pyramids, Choquequirao, and Stonehenge? And why are we still finding more stones there? After spending 6 months exploring vast ancient cities of stone, high in the Andes Mountains. I feet like there is something we are missing? What did they know, that we don´t? We are always so caught up in the how, what about the why? I hypothesis that I was going to find out why. My prediction was that it was going to be a long week, but possibly an interesting one. Who knew what would be played on the prisoner’s cinema? Alone in the dark for seven days with nothing to entertain you but; one’s own self, and an increasing amount of melatonin and dimethyltryptamine after a few days. Interesting prospect. 1. Aim to have two good nights of sleep before entry. 2. Depending if special dietary requirements due to religious beliefs are advised before entry, begin when required. 3. Clean and check the room prior to entry. 4. Place out all the ítems in the room you will need for the duration of your stay. 5. Trial run – close your eyes and imagine your daily routine. 6. Turn off the light. On Tuesday the 24th of February 2015 at 7pm, I turned off the light. The following is recorded from my handwritten logbook I began writing 36 hours after leaving the Dark Room. Upon turning off the light; I found my hairbrush, sat down on my bench, and brushed my hair. This may have lasted 20- 30 minutes. I then showered, and brushed my teeth, before lying down in bed for the night. I practiced my daily exercise of breath control for possibly twenty minutes. The morning meal had arrived during my breathing exercises so I ate breakfast after I had completed the performance. Breakfast – one large fruit salad and 250mL of cactus juice and aloe vera. After breakfast I brushed my teeth, then went and lay on my bed. I was feeling slightly drained and low of motivation. Shortly later I broke into a moderate to mild fever. My temperature had risen, I had stomach cramps, a light layer of sweat over my body, felt tired, and achy in my joints. I lay in bed most of the day, only getting up to use the bathroom and eat lunch. 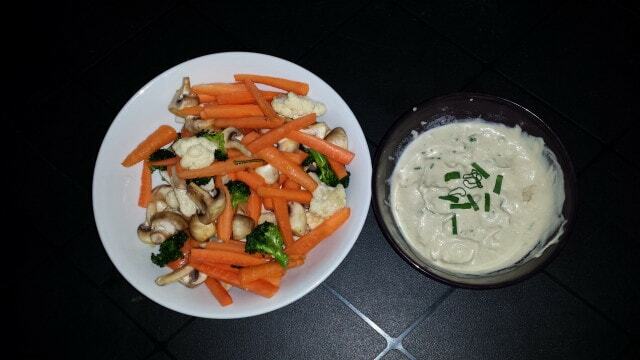 Lunch – a bowl of salad consisting of raw vegetables; carrots, celery, and cucumber. After lunch I returned to bed. I had not heard dinner arrive, yet when I got out of bed to check, it was there already. Dinner – one bowl of sliced avocado and tomato, one bowl of cubed papaya. My first 24 hours were were spent in bed. Approximately 30 hours before entering the room, I had visited a pharmacy for medicine for the relief of parasites. 13 days prior to entering the Dark Room, I had diarrhoea that continued regularly for almost 12 hours. The diarrhoea would come and go over those next 13 days before I eventually consulted with the pharmacist. I told him in Spanish, ¨I have parasites of the stomach¨. He replied in Spanish, ¨We have two medicines for parasites¨. I recorded both their names on paper, along with one other that I had received at another pharmacy. I then found an Internet cafe to research what these white pills actually were. Vermox – production of this medicine had been discontinued in the US for no given reasons. Without a medical practitioner there to diagnosis my condition, I can only give my unqualified thoughts on the matter. But I don’t believe that the fever was caused by the medicine taken. Fever was not listed as a side effect but stomach cramps were. *Breathing, along with blinking, is one of very few functions we have in our body that can be controlled voluntary and involuntary. Breathing controls the rate of oxygen entering our lungs; the oxygen level in our lungs controls the rate in which we produce blood in our heart. If we increase our breathing rates, we will have greater blood flow throughout our body; if we decrease the opposite will happen. After dinner I woke twice during an otherwise unbroken sleep. I had thought both periods of sleep were short. Once awoken after the second dream, I was restless. This I thought was a good sign as the fevers symptoms had subdued and I felt like I had more motivation. I estimated it to be possibly anywhere between 9pm-3am at that present moment. I lay there for possibly 15 minutes when I was roused by the noise of the morning meal arriving. I got out of bed, practiced my morning breathing exercises for approximately 15 minutes before eating breakfast. Breakfast – 1 cup of dried fruit and nut mix, 250mL of chamomile tea, and two whole bananas. I brushed my teeth and had a shower after breakfast, then I lay down and rested for possibly an hour, but didn’t fall asleep. It was while I was lying down at that time, when I began to notice a very faint flashing yellow* light. At first I thought it may have been caused by the wall mounted fan recirculating the air around the room. And what I was seeing was particles of matter being blown around the room. So I switched of the fan. This caused the flashing to stop for about 20 seconds, and then it started again. My vital signs were ok and my eyes and vision did not fell effected. I practiced stretching exercises** for approximately two hours after that. Then I lay down again, only rising to eat lunch. Lunch – a whole apple, 500mL of chocolate milk, grapes. After lunch I lay down flat on my back on, my rubber mat in the centre of the room for approximately an hour. I then closed my eyes and practiced concentration techniques*** for approximately another hour. When I stood up from lying on my mat, I stood still for a moment looking into the darkness. A golden raindrop fell from the skies and paused still in the air, about half an arms length from my face. I watched it for what felt like a minute, dance around before me. I then went and lay down. Dinner – one avocado and two tomatoes sliced, two diced banana, grapes. I decided to look at my hands. The prominent scar that is on my left hand was on my right hand. I felt nervous and excited in that moment of the dream, and the exact same emotions in the moment once I had woken up. With the fever concluding before the light show began, I couldn’t put the perception of; flashing lights, colours, and shapes by my mind, to a result of the fever or medication. I felt good and was thinking rationally. I estimate it would have been around 36 hours when the flashing lights began. Light had not touched my eyes in that time, so my brain was not able to send the signal to my pineal gland to stop the releases of melatonin. * Colours are described from my perspective. I have been diagnosed with colour-deficiency. ** Stretching techniques are a series of postures that are held for sustained periods of time with the aim to improve strength and flexibility. *** Concentration techniques are designed to relax the individual and allow them to focus their mind on one object or thought. I woke in the morning at the end of a dream. I began with my morning routine of breathing, and then followed by stretching exercises. This I would estimate may have progressed for around two hours. I then returned to bed and waited for breakfast. I lay in bed in deep thought for what I felt like was in excess of four hours before the eventual arrival of the morning meal. Breakfast – one cup of yoghurt, one cup of cereal, 500mL of chocolate milk, and 250mL cactus juice and aloe vera. I returned to bed and lay down. Again I was thinking deeply. I may have stayed in that state for a couple of hours before completing approximately an hour and a half of stretching exercises. Afterward I returned to resting in bed. I noticed that the room appeared brighter as if there was a faint light emitting from inside the room. I laid there awake until the evening meal arrived. Dinner – One peanut butter and jelly sandwich, one jar of runny peanut butter and a bag of slices of bread cut in quarters. The most noticeable change today was in my mind’s ability to concentrate. Colours and indistinguishable images were becoming more prominent in the images my mind was portraying as being from my own field of vision. When I returned to bed after my morning routine I began thinking deeply. The flashing light would appear and disappear. My mind was somewhat accustomed to it by now and I could think clearly and not get distracted. I began thinking about many memories from my past. And I could keep the idea of the memory strongly in my mind. On occasions it almost appeared as if the colours and lights I was visualising in the darkness were almost supporting the ideas in my mind. When I returned to my bed after eating lunch, I returned to reflecting upon my past again too. I began thinking about people and situations from my early childhood. Memories that had not been viewed in what felt like in some cases, the moment they had been created. It felt as though I was rifling through a filing cabinet of my life, and picking out files of thoughts to read, and photos captured in moments to observe. The clarity of mind was like nothing I had experienced before. Moments after the completion of dinner, I was sitting on my bench, and saw my first noticeable appearance of what appeared to me as beings in the room with me. I watched three distinct scenes unfold. These visualisations stayed with me until I fell asleep. In the morning upon waking, I rose and practiced my breathing exercises followed by stretching exercises for approximately an hour. I returned to bed and waited for breakfast. I initially rested deeply in a state of relaxation with little observances from my mind. After what felt like an hour I began thinking again. I lay there for possibly 5 hours before the morning meal arrived. Breakfast – one cup of yoghurt, one cup of cereal, one whole mango, 500mL of oat milk. After breakfast I returned to bed for around two hours where I lay awake, thinking. I then completed a three hour stretching routine, followed by the consumption of lunch. Lunch – a whole apple, a muesli bar, herbal tea. I then lay in bed thinking, and waited for the evening meal. Dinner – one cup of yoghurt, one cup of cereal, 50 mL of honey in a squeezable tube, a whole mango, and three whole miniature bananas. Immediately after dinner I was aware that there appeared to be what I would describe a scene filling the void in front of me. Multiple blobs of dull lights and colours lined the walls of the room. Once I had finished eating, the blobs began to take shapes and forms, and then I was able to make sense of the images before me. They began to resemble piles of mutilated corpse lining the walls of the room. It was hard not to focus on the images at first. The receptive centre of my mind was receiving messages telling my mind that I was not alone in this room. When I was able to get over the initial shock then analysis, I tried to concentrate on different thoughts. I was able to critically think on other matters, yet in the background of the room, the images still appeared. Over what felt like the space of thirty minutes, I witnessed the slow transmutation of three different scenes. The first, beginning with the corpses; the images gradually faded in detail, then transformed becoming the forms of your Hollywood alien (small body, large head, green). Again the ETs only filled the room. While I was brushing my teeth sitting on the toilet, one of the ETs in the room approached me and placed its hand on top of my hand resting on my knee. I noticed then that I wasn’t receiving messages from my brain with the regards to my sense of touch being stimulated; only my visual perception told me that there were aliens in the room with me. The final scene had grown in size. After I finished brushing my teeth and combing my hair, I walked over to my bed. The instant I began walking, I viewed my bed as being outside, sitting under a tree, and the stars. As I approached my bed, I turned my head left to right and saw 2 rows of 6 rectangular mats lying horizontally away from my bed facing each other. I reached my bed, sat down facing the opposite wall in which I had just walked from. I was now looking back at the 12 mats lying before me. The mats now had people lying on them, who I did not recognise, yet somehow felt I trusted. I lay down and looked up at a sky filled with stars. The longer the duration of these visualisations, the greater they increased in detail. Throughout these experiences, my mind understood what it was seeing was not there in front of me, yet my eyes were open. Subconsciously my mind understood what it was seeing, it was in fact seeing. I would turn my head and what I saw would be as if the image were in fact filling the space around me and I was inside the scene. I also began to recognise that all the scenes would appear to be illuminated always by one source of light within the room. This source of light would often manifest into the source of light within the scene. If it was day time, it would be the sun, at night it was the moon or a street lamp, it was once a log fire, and twice the light was emitting from inside me. The best way to describe what I was experiencing would be to say I was awake and fully aware as if I was in a dream. I had limited control over the dream, but I wasn’t trying to control it either. I simply was observing. Interestingly, once I had slept, the images, colours, and flashing light had subdued slightly. When I lay down today I spent most of the time reflecting in past memories. I would not dwell on them for long periods, rather I felt as if I was systematically searching through my past for something. I lay in bed after dinner awake for awhile. I was not paying attention to the images any more and was back to reflecting on the past. After a sustained period I felt like I was finished reviewing my past and began to think about the future. I fell asleep sometime during this period. I woke within my own natural rhythm. I lay in bed for a couple of hours before getting up wanting to practice a physical activity. I felt low of motivation and returned to bed. I lay there until breakfast arrived. My thoughts remained in the future. When the morning meal finally arrived I practiced ten minutes of breathing exercises before eating. Breakfast – one cup of cereal, one cup of yoghurt, a small container of sliced papaya, and one whole orange. Upon the conclusion of breakfast, I cleaned my teeth and returned to bed. I noticed my body felt extremely stiff. All my joints seemed to be creaking and cracking excessively when moved, and I had a large spot of tension in my mid back. I lay in bed until late in the afternoon, only rising to use the toilet and eat lunch. Lunch – one packet of chips, a piece of salmon, one apple. In the late afternoon I completed stretching exercises for approximately half an hour before returning to bed still feeling drained. There I resided until the arrival of the evening meal. Dinner – a rectangular Tupperware container filled with sliced banana, apple, two plain pancakes, and a packet of chips. Two things happened today that were noticeably different from the previous. Firstly, from waking up, it felt as if tension was building consistently throughout my body. I began to think this may have been due to the fact I had been restricted to a confined space for over 96 hours now. I was also aware that the visualisations were beginning to replicate my thoughts. It began that morning but only became noticeable around the middle of the day. What I was thinking about, was now the image filling my field of vision. There was no more duality between the scenes and my thoughts. My thoughts were filled with thoughts of the future. I imagined many different; job possibilities, reunions with friends from the past, visiting old areas in my neighbourhood I grew up in, social situations. All of these I thought about with the seemingly rational part of my brain. The two separate parts of my brain, were now working collectively. After dinner I had a shower, then returned to bed. I fell directly back into the collective minds. I knew I wasn’t going to go to sleep so I lay there and concentrated on myself. I did not sleep for even a moment that night. My thoughts occupied my mind and vision all night. During this period, in a single moment, I felt a relief from the tension that had been building in my body. Much later on, I was lying in bed when I sensed something change, I then heard the faintest noise, slowly that noise grew in volume and I knew at that moment the sun had just risen. Likewise I rose too, having not slept the previous evening, and began my breathing and stretching exercise for approximately two hours. I showered and returned to bed where I finally slept. I was woken by the arrival of the morning meal. Breakfast – two slices of bread, one cup of cereal, one cup of yoghurt. I brushed my teeth and returned to bed. I noticed that the room appeared to be staying darker for longer periods. Lunch – a small vine of cherry tomatoes, and a 500mL fruit smoothie. I rested for a few hours before completing an hour of stretching exercises, followed by a half hour of strength exercises. I showered then returned to bed and slept and rested until the evening meal arrived. Dinner – one cup of yoghurt, one cup of cereal, one whole apple, and a packet of chips. Today was the first time I witnessed a connection to what I was thinking and visualisation in my mind, and my body react on the muscular and skeletal system to the visualisation. The moment transpired a fair amount of time after dinner, and a long time before breakfast, in a night where I did not sleep. I was consciously manifesting images of my past voluntarily. I would explore old conversations and situations from the period of my life as if I was watching it on a 3D TV. I was watching each situation not how it was remembered in my visual memory; in the first person, rather I was viewing it from the third person. I was able to watch myself and the entire situation unfold. In one such scene, I had a moment where I felt levels of euphoria that I had never experienced before. In the visualization I had arrived at an intersection between two streets, I looked to my left and saw my younger self there, having a fight with a guy older than me. I don’t remember the last time I had thought about this memory. The scene played out how I remembered it (I was just observing and was not projecting any of my thoughts or feelings into the visualisation). The scene that followed was exactly as I remembered it happening, after the fight between myself and this older guy. Yet I still felt surprised it was there now. I knew what happened next, I was there when it happened. Yet when I was there watching it this time, I saw it from a completely different perspective. Suddenly I felt like this memory made sense to me in a way I had never thought about it before, I felt like it answered a question I had always wanted to ask, but never knew how. I felt an unexplainable amount of relief, followed be sustained period of euphoria throughout my entire body. After completing dinner, I brushed my teeth, and returned to bed. I was not feeling tired. The room was almost dark again, minus a few flashing lights. I lay in bed for what seemed to be many hours. I knew I had one last day ahead of me in the morning and I was already feeling relieved that I had made it to this point. I stayed in bed in a relaxed and rested state until I was alerted to a knocking noise. The noise sounded like it had been made on the wood of the door. I was confused, at that moment in time; I estimated it to be in the very early hours of the morning. I had eaten dinner and been lying in bed for quite some time. I was annoyed. I had specifically said that I wanted to stay in the Dark Room for 7 days. I felt I had already broken my vow of silence for 7 days by saying hello twice, responding to the knock. It had only been 6 days. I replied to the person to allow me 30 minutes to adjust before I left the room. I then searched for my phone buried in the bottom of my bag of belongings hidden in the dark, for two reasons; firstly I needed a flashlight to find the light switch. Secondly I wanted to check the date. When I turned my phone on it read; Tuesday 3 March 7:38pm, exactly 7 days had passed from when I had entered the room. It was interesting to note that from the previous day, to this day, the vividness and rate of visions had dropped significantly. The lights and colours had diminished in brightness since the moment of euphoria. When the knock on the door came, I was disorientated. I believed it to be around 18 hours earlier than it actually was. I had been observing the amount of meals received, and was constantly aware of my sleeping and waking pattern. Up until that point, I had felt reasonably confident of my concept of time in the dark, even without the aid of the stimuli received from the change in the solar cycle. Firstly we need to establish the concept of time we will be discussing. When I refer to a specific time of event/occurrence inside the Darkroom, I will be referring to my concept of time that I thought it to be while I was inside. The concept of time is written henceforth from my estimation while I was inside. That is the only concept we have recorded. My aim for this experiment was to greater understand the effects of melatonin and dimethyltryptamine on the human mind and how it may have been related to religious practices. So then let us first discuss melatonin. What I have established are the periods of time we witnessed the mind´s behavioral changes, due to the effects of an increase of melatonin, released from the brain’s pineal gland. The first incident where we see the effects was the beginning of visualizing the flashing lights. This is what prisoners described, and psychiatrists had prescribed as prisoner’s cinema. This was after 36 hours. Around the 40 hour point, I witnessed the first image; the raindrop, and the first colour, the golden raindrop. From there the colours became more prominent. This we can establish is due to the fact melatonin was now affecting my mind. My rational thinking remained, yet I witnessed messages from my mind telling me the room was no longer dark, and in fact it was raining gold. So the first affected part of the brain we can establish is the visual cortex. We can split the functions of our visual cortex into two distinct parts; ventral stream, and the dorsal stream. The ventral stream is associated with interpreting images; it is also associated with our long term memory. The dorsal stream is associated with motion, and mainly our ability to move our bodies within our environment- our motor skills. As the room was dark during this period we can´t accurately accesses how affected my dorsal hemisphere was. My daily practicing of stretching was competent, but I had difficulty with balancing exercises. My ventral stream however was very busy from the beginning of this period. Now we can look at the events that transpired during the period of time recorded from 72 to 96 hours. During this time lapse, I spent a fair amount of time during my day, lying in bed, searching through past memories. At this later stage we can further see the effects on the ventral stream, of our visual cortex, with the increased ability in accessing long term memories stored here. So with the increasing amount of melatonin, we can establish a direct link with the affected part of our brain being our visual cortex, and our ability to conceptualize visualizations appearing in front of our field of vision. Now I was also beginning to access my long term memories stored in the ventral stream, I was able at times to view memories that were in excess of 20 years old. I was recalling them with precise clarity, and was sometimes remembering memories that I felt I had not dwelt upon in those 20 years. Melatonin, it would appear has the ability to increase our sufficiency in recalling memories. How can we comment however, regarding its effect to create nonexistent colors and lights in a dark room? For what purpose would we need to visualize lights that are not there? I believe the answer lies within the effects of dimethyltryptamine. The effects of dimethyltryptamine are first observed, leading up to the 72 hour point. Until this period my visual cortex had only been processing colours and lights. These colours and lights were noticeably slowly transforming into to distinguishable images. The most common side effect when dimethyltryptamine is produced and released by our pineal gland, is visualizations. This is how we have the ability to dream. Without it, our visualizations during our sleep cycle would not be distinguishable images, and we would just view colours and lights. Every dream has both these hormones present, albeit in much smaller amounts. With the increasing supply of these hormones, I was now having dreams on a much larger scale. After the 72 hour point, the scene, in the visualizations grew from; single objects, multiple objects, room transformations, and finally entire surrounding landscape transformations. I was in a reality where my entire field of vision was affected. Through melatonin and dimethyltryptamine, I was able to dream on a scale that would be considered abnormally large. My rational mind was still unaffected and I was able to concentrate on alternative thoughts, yet the vision still remained. At this stage my visual cortex was the main affected part of my mind. After 96 hours, I began to observe a merging of my visual cortex and whatever part of our brain that provides thoughts. This is where our investigation runs into a hurdle. What part of our brain produces a thought? Neurons send electrochemical messages to our brain, reacting from stimuli through one of our five senses. But what one of our senses is a thought? Thoughts may arise from; problem solving, recalling memories, and using language, but that only explains what sparked them, not where. It´s fairly safe to say, we don’t know where thoughts are produced exactly. What’s more troubling in this case is that we know where our emotions come from. They don´t come from our conscious thinking mind, they come from our unconscious feeling mind. A mind that is associated with past memories stored in our visual cortex of our brain. This knowledge we have thanks to Sigmund Freud. Dr. Sigmund Freud was an Austrian neurologist, and is simply known as the father of psychoanalysis. Dr. Freud introduced the world to the connection of our memories from the past, and our current emotions. He clearly expressed that our visual memories of our past, that are associated to all our emotions, are stored in another area of our mind to our thoughts. This was what he described as our unconscious mind. He postulated that if emotions and ideas remain in the unconscious mind, that are not accessed or processed, then behavioral patterns in the individual were affected. Depending on the amount of emotion contained in that particular memory, would depend on the effect to the person. If the emotion was deemed as negative or traumatic, then it had a strong chance of causing greater harm mentally and emotionally to the person later in life. After 96 hours, I stopped visualizing unrelated images to my thoughts, and instead, started observing my visualizations follow my chain of thoughts. This was a major turning point as up until this stage, I had been witnessing two separate areas of my mind at work. This we can establish was due to the effect of my mind now showing the effects of receiving a very large amount of melatonin and dimethyltryptamine. The side effects were that my unconscious mind was no longer accessing my visualisations; my conscious mind was now sending messages to my visual cortex. Where from, we don´t know? But, what I was thinking, I was now visualizing. Another interesting moment that occurred during this experiment was the apparent decrease in side effects of melatonin and dimethyltryptamine shown towards the end of the sixth day. It is safe to say it was actually somewhere around the 144 hour point when I noticed a major release of emotions from my body, and the reduction of side effects perceived over the resulting 24 hours. After this period; no more visualisations appeared, the colours diminished, and the flashing light stayed but only sporadically. As I was observing my conscious mind process visual memories stored in my unconscious mind, I noticed different emotions attached to the different memories viewed. I was directly responding to these images with emotions in that moment. I was able to notice a direct change in how I felt, with each new memory viewed. I was not viewing memories as I normally would, and remember how it happened; I was instead, viewing the memory as to what I emotionally associated to it. Through this perspective I was able to analyses why I had felt that emotion, but I was not associating to the emotion itself. Because of this perspective change, I was also able to analysis from the third person. In doing so, I found I began to have many paradigm shifts regarding the feelings associated towards my memories from my past. Viewing these memories from the third person perspective, I was able to understand them, and then process them. These memories were from when I was a child. The emotions I connected to these memories were from that same child, and I am no longer that child. I viewed those memories and wasn’t concerned about what happened, I was concerned about how I felt. I had been systematically been searching through my past. Everything was there. I would begin in a classroom; and it would fill around me. This particular moment occurred after I had searched throughout my original family home, and began flying up the street. I flew to the top of the street our house was on, and the point another street met with it. I looked to my left, and I was t here. I was 12 years old and I was having a fight with a guy a couple of years older than me. While I was viewing this scene I was able to understand my response to the scene and the emotion attached. I had anger associated to his memory. There were other memories that I had viewed prior to this memory, where I had observed that feeling too. I understood then observing from this new perspective, that I had caused the fight and deserved to get beaten up that day. I still didn’t understand why I was still watching this scene. Up until then, when I felt I had understood the memory before me, I had moved on to viewing another memory. It was what happened after the fight that caused me to understand why I was still viewing this memory. The scene that transpired after the fight was exactly how I remembered it. Instead I viewed it this time from a new perspective, I was able to connect this memory with another that I had viewed early that day. The other memory I had viewed was from 2 years earlier. I had got beaten up at school in front of everyone, and had felt helpless and humiliated. However when I was watching it at that moment, I didn’t feel those emotions. I felt someone else’s. I saw the perspective of the fight from someone close to me that witnessed it. Up until that time I had never thought about how they had felt during this fight. Now seeing this later fight, and the scene that followed, I saw it again, from this same person´s perspective. I understood then, that I had nothing to fear or be angry about anymore. As I processed this memory and chose no longer to view it with anger, I felt something I had never experienced before. My entire body released from tension that had been building over the previous 12 hours. I was in a state of euphoria. This feeling, felt like I was not just releasing the tension I had developed that day in my body, rather a lifetime’s worth of emotion held from deep within me. My body felt relief beyond comprehension. Do I believe this is an effect from the melatonin and dimethyltryptamine, no. What I do believe is that it is a result through the effects of melatonin and dimethyltryptamine. Through this large amount, I was able to connect my unconscious and conscious mind. In doing so, I had the ability to; recall, view, and process memories from my early childhood. I was able to release emotional stress I had carried with me in my mind and body for my entire life. To discover what are the psychological effects to the human mind when an increasing amount of melatonin and dimethyltryptamine are released naturally by the brain under controlled conditions. What we discovered through this experiment is that our brain uses melatonin and dimethyltryptamine together, released from the pineal gland to; create dreams allowing our subconscious mind to process emotions associated with memories from our past. These memories are stored in our visual cortex, and our emotions are stored throughout our body. We also discovered that if the pineal gland continues to release both these hormones over an extended period, then we gain the ability to connect our unconscious and conscious mind. The ramifications of this discovery are fascinating, and alarming. We as humans, live in a very complex world. We have to constantly process stimuli from all senses, in increasing amounts during our day to day lives. Our unconscious mind uses our dreams to process our emotions associated with our visual memories. We can see this through the hormones it uses to induce our dreams, and what their effects on our minds are; melatonin creates the conditions for the dream; colours and lights, while the dimethyltryptamine gives the dream shape through its visualization effect. Our unconscious mind does not have the ability to process all the emotions we associate to our memories during our stimuli aroused days. So it uses our dreams, as an opportunity to process these emotions. The only problem is, we do not allow our pineal gland enough time to produce enough melatonin and dimethyltryptamine for this process to happen. Ever. Since we have taken control over the source of light in our world, we have not taken a step back to look at the consequences. It is true that our body needs around 8 hours of rest per night. What about our mind? In nature, and for roughly 199,865 of our 200,000 years of evolution, our pineal gland has started releasing melatonin at the very onset of dusk. Now that we have alternative light sources throughout the environments we live in, we do not actually allow this message to be sent to our pineal gland until many hours after sunset. We have changed a function of our natural bodily process without even considering the implications. Taking away the length of time for our pineal gland has each night to produce melatonin and dimethyltryptamine, we have reduced our mind´s ability in which to dream. Thus we are reducing its time in which it can process past memories and emotions associated. In doing so, we are slowly driving ourselves emotionally unstable. We are losing our ability to let go of past events, and we are increasing the length in which we let events from our past affect us in the present day. We are carrying around emotional baggage with us every day that we store in our unconscious mind. These emotions are then expressed through the way we act to situations that present themselves in our daily life. Because of these unprocessed emotions, we lose our ability in which to change our perspective from past actions. Subsequently we find ourselves making the same choices that require us to repeatedly face the same obstacles. The reason we are no longer reaching our dreams, we can no longer dream. Never before have we faced so many challenges as a society at large. We are long past the point of discussing this now; we are slowly changing the planet in which we live. The way we live, eat, sleep, heal, and now dream, has changed in the past 5000 years. We need to look at the consequences of our actions. We need to address this current situation we face regarding the reduction in melatonin and dimethyltryptamine released by our pineal gland during each sleep cycle. As I see it, we have two options; firstly, we could visit our nearest chemist and receive some melatonin manufactured to make money. Or secondly, we could keep our eyes in darkness once the sun has set each day. Dimethyltryptamine may be a little bit harder to attain. We could withdraw our eyes from artificial light at dusk and the pineal gland will naturally release it. Another option would be to go to a drug dealer and smoke it illegally. The third option however would be to visit a country where it isn’t a drug, but rather a medicine. In South America, the Andean people have been using Ayahuasca for over 3000 years for ceremonial purposes. Dimethyltryptamine is found in a plant native to this area, the Banisteriopsis caapi vine. They believe this brew to be healing for the mind and body. Like Dark Retreats, many different religions and cultures have turned to plants for a source for dimethyltryptamine. At this point, I want to try and understand the polarity that arises here. Here we have two hormones that are released by our brain so we can dream and process our emotional memories. One is a medicine worth an estimated 32.4 billion dollar industry per annum, and the other is a hallucinogenic class A drug. Without getting into the why, let’s just analyses the how. How have we as a society let our emotions, become someone else’s business? Why do we always look for the quick fix option? We need to stop looking at the same riddle from the same perspective; how many people does it take to change a light bulb? We need to understand, it takes only one conscious mind to not change the light bulb. We also need to stop labeling life. Whether it is a drug or a medicine is of no relevance. Why we are taking them, at such an alarming rate is. Our health is deteriorating, while someone’s wealth is accumulating. When will we make decisions with our conscious mind that will benefit our unconscious mind? When will we start thinking about how we feel, and stop thinking about how others think? Then we will be able to change our world. For 5000 years we have wondered how they built the Pyramids? We have been asking the wrong question, we need to ask; why? Why for 5000 years have people all over the world been practicing the ritual known as a Dark Retreat? The cultures that began practicing this ritual 5000 years ago, didn’t face the same problems we did with regard to changing our environment’s natural source of light. So what purpose would it serve for them to have an excess of melatonin and dimethyltryptamine in their bloodstream, affecting their minds? I believe it is because during these states they communicated with god. I understand this last prediction may come with some challenges in relating to. It is not measurable and dubious speculative at best. We don’t even know where our thoughts come from yet. Who am I to make a prediction like this? And who am I? I am not a neurologist, a chemist, or psychiatrist. If you were to compile research of your own, you would quickly discover that I never finished high school. So nothing I could say would ever be read seriously, or worthy of consideration. One could push this aside and say it is just a novel way of writing about an experience, and this is not an experiment. But this is an experiment. Like I mentioned previously; the inspiration for this experiment was from a conversation over email, exchanged with my sister, Dr. Emma Blomkamp. I had sent an email previously to my friends and family regarding my recent experience in Guatemala. In that letter, I referred to; devotion, the divine, and spirituality . My sister had said that at times it was, ¨challenging to relate¨. Only a couple of hours later, she read a blog a friend had sent her. He spoke about the difficulty he was encountering trying to write about his Near Death Experience, where he experienced something higher than himself. This might come as a surprise to you, but this is actually was the purpose for this experiment; I wanted to write about god. My experiments writing about god, Volume II. I wanted to know how to write about god? You don’t. You write about Man. Being a good assistant is not something that is obvious for everyone… Choose a person that you feel comfortable to communicate with. At best someone that is not stressed and working on other things but one that can be available to fully support the retreatant in this life-changing experience. It is essential that this person has read the book and understands well the whole protocol and how the room works. Ideally, they would have already retreated themselves. I felt a bit like a baby in need to call their mother quickly to answer basic needs. The assistant takes the role of an ideal mother even if they are not physically present with the retreatant. The assistant is a mighty guardian, a compassionate ear, a trusted presence. A good assistant is available and present near the retreat. It is easy to call them and they are able to answer quickly. They assure that the retreat will not be interrupted and that the place is kept safe and functional for the retreats purposes. Before entering the room, they will make sure that they are welcome and that they will not let light in unless the retreatant has covered their eyes. If they let light in, they will close the door as soon as possible and use a red light if needed. They will communicate about their moves and when the retreatant can uncover their eyes again. They are clear-headed and focused when they meet the retreatant. They keep in mind that the retreatant is probably undergoing deep processes that need no interruption. They will not pollute the retreatant with complex questions and will likely choose to ask simple questions that can be answered by yes or no. They will not talk about themself or the outside world and they will be talking with a gentle and calm voice. They will make sure the compost is emptied regularly and the water and food is available in sufficient quantity at all times. They will make sure that the food is still fresh and will do their best to select a good quality of tasty fruits and vegetables. 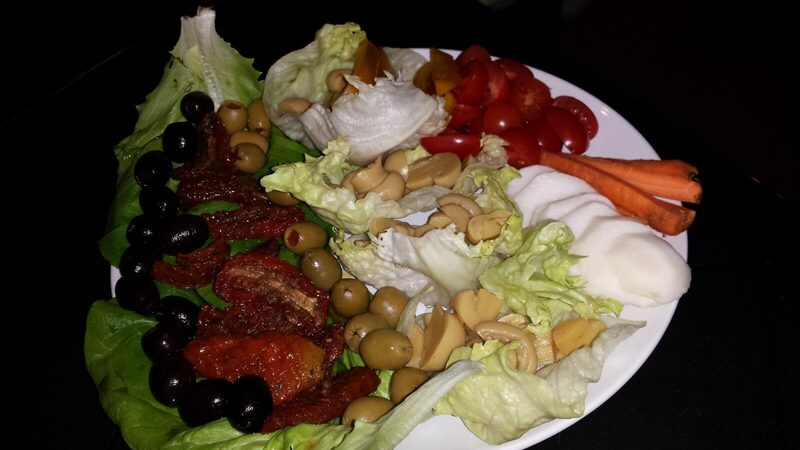 (Poor tasting and old raw-foods are very unsatisfying). When they maintains these facilities, they will make sure that they put all things (bowls, spoons, compost bucket…) in the exact same location that they found it. (It is very disturbing for a retreatant in the dark to not know where to find things anymore). They can ask the retreatant if they need anything special and if they want to talk. If demands are expressed, they will try to fulfil them shortly and if things are not clear they would ask for clarification. If fulfilling a demand of the retreatant is not possible, he will find an alternative solution that puts the priority on maintaining the right conditions for the retreat to operate without interruption. The assistant understands the mechanics of the room (darkening, ventilation, water supply, toilet…) They do a daily check-up to make sure everything functions well. If there are dysfunctions, they will find a solution without disturbing the retreatant. They must communicate with the retreatant, being as brief as possible to explain what needs to be done and can assess if the retreat can be continued or not. If the assistant is not always present/reachable they makes sure that the retreatant has everything they need and that they feels safe and confident to stay in autonomy during that time. My retreat did not happen in good conditions yet I was still able to foresee the potentials of darkroom retreating and to rest a little bit. I wasn’t able to judge if any improvement was occurring during the retreat. In fact, it took me some time to realise what happened and to recognise that some functions had been restored like my visual perception. Feeling safe and being in a quiet environment where rest is not interrupted seems to be an obviously crucial point to receive optimum benefits of a darkroom retreat. I thought my location was quiet enough but I wasn’t prepared for times when there would be more noise than usual. Building a dark room is already a challenge, light sneaks in in every little holes and cracks, but noise goes through everything and is unpredictable. I was in the dark yet it still wasn’t enough, I had feelings and the thoughts of wanting to “be in the womb of my Mother” again. The only time I recall experiencing something similar and that was in a Museum in Berlin that had a whole section dedicated to this Artist (will try to remember his name) that worked a lot with felt. He had been rescued by a tribe in South America after he had a plane crash, his body had been totally burnt and his chances to survive were very little. They covered him with oil and wrapped him in soft material before burying him in the ground. Only his head was out. I think he tried to reproduce the sensation he had in this time of his life. His art piece was a big room with walls shaped like a natural cave, but this time, the walls where made out of very thick felt or isolating material. As soon I entered the room, I had a sensation of relief. The air, the space, felt very soft and was very quiet. I wanted to lay down or rest against the walls. I could have stayed there for hours if the museum was not about to close. I was breath-taken, I felt suspended, it was a timeless zone. I remember being deeply moved by the art of this man and left the museum crying loudly. The ideal place for me would be one that is really safe, padded, felted, soft, comfortable, stable in temperature, quiet and dark of course. Like a nest. I imagined myself wrapped-up in animal skins, far in the depth of a cave. Natural, soft and warm materials would be preferred. A good air flow being essential as well. If any sounds were to reach me, I would like it to be the sounds of nature, or the sounds of my family, continuing their lives around me that is resting, knowing that they are there, guarding me. But the sounds of engines and machines and are the worst, their vibrations are highly disharmonious and disruptive, they must be avoided! In the two previous examples, it’s the soundproof quality of the room that gave me this feeling of being perfectly safe and held in the space. I know that this is a major key for me to experience emotional releases and to be able to surrender to let my autonomic body take care. Instinctively, as soon as I enter a space that feels warm and safe, filled with beautiful materials and soft colors, my body relaxes. It feels HOMELY. After All, Don’t We All Try to Find Home? When will we feel comfortable enough inside ourselves to feel at home in our bodies, in our hearts, in our guts, in our womb space (sexual organs)? When that day comes, we will stop seeking comfort by buying things or seeking relationships that comfort us, we will have healed ourselves from the traumas we are distracting ourselves from. But for that day to come, I believe that we have no choice but to experience what we have missed to experience: be held in the safe and peaceful womb space of a healthy and happy mother and environment. In the optimum conditions, we will mother ourselves in the dark until we are ready to be reborn into the world. I observe the Indonesian people around me and they do not seem to have the same nervous system dysfunction that I have or that I can observe in most people born in the western-culture. People are generally very calm and laugh easily, they rarely are angry and aggressive. They are capable of hard work but stay cheerful and they can endure easily what we think is unbearable to the senses. I relate this to the fact that here babies are always in someone’s arms being carried around held on the hip of their mom in a simple piece of fabric wrapped around the shoulder. If they are not in someone’s arms, they are closely held in the web of a small hammock. Young children are confident and do not fear strangers, they talk easily and loud, they are self-assured. They are used to work and play with others. Their lives are simple and the have a lot of free-time. Still not so long ago, all they knew was the soft and abundant heart of the Mother jungle. They always lived with their family and friends, they did not know stress. Giving birth is an initiation, it is sacred, it is natural and also has some degree of risk and that is why it is usually assisted by a midwife (or more) or someone that is trusted and can maintain a safe and calm atmosphere even in intense situations… The assistant of a retreatant must have similar qualities and the retreatant must be aware that they will have to face intense moments with trust that the body is perfectly taking care of this natural process. With this metaphor, we also understand that the transition period will be crucial for the future well-being of the retreatant, as much as it is crucial for a new-born baby to have a smooth transition from the womb to the world to become a healthy person. As we see, our society is very sick and almost everyone needs to undergo a darkroom retreat. With the experience of Andrew and other pioneers in this subject, I realised that it takes experience and skill to transform a room into/build a functional BioPod and that not everyone has the appropriate place to do so. Not only that, people that need it the most are the least capable of making it happen for themselves and even if they were capable, not everyone has the skills to do so or enough time to study the subject. It also takes experience to be a good assistant. I have a vision of creating a “Dark Womb Rebirthing Retreat Center” and/or a “Dark Womb” design that can fit in most people’s house so that they can retreat as much as they want. But eventually that person would retreat enough and not be in need of the facility anymore, In which case, a “Dark Womb” kit could be sold like a IKEA kit thing but kits could be rented as well for certain length of time. A relay center would make sure the BioPods stay clean and functional and would take care of the transportation logistics. At best, it could become a service that offers a network of portable “Dark Wombs” on trailers that some specialised “Dark Womb Rebirthing Midwifes/Guardians” would travel with to meet their retreatants where they live instead of people having to move to the retreat. People would have nothing to do but to provide the space and watch the BioPod be assembled together in their living room or their bedroom and get in. They would be assisted by the same person that takes care of the biopod from setting up to packing up. The room/house provides shelter for the retreat and a first layer of protection (security, rain, wind, cold, noise…). The kit is an easy to assemble shelter that includes floor, walls and ceiling. It is sound-proof, light-proof, and has it’s own ventilation system that plugs in no matter what the ventilation system in place in the house is to make sure that there is always enough airflow in the BioPod. Ideally it is made of modular panels meaning that according to people’s finances, space and needs, the “Dark Womb” could be built in different sizes and even different shapes. It could connect with a black fabric tunnel to an existing bathroom that will be darkened in simple ways or it can include a basic dry toilet module/ a compact bathroom module in option. The bathroom does not need to be sound-proof because not much time will be spent there. If the climate is very hot or very cold, a heating or a cooling system can be plugged into the ventilation system. But most homes would provide a fairly stable and viable temperature range. In this case, a hot climate would need it more than a cooler climate because the BioPod would have the tendency to keep the warmth inside. Size : It should be big enough to provide space for the bed and for stretching and exercising. People could put their own bed inside it. It would have a double sided shelf inserted in the wall where food and drinks can be delivered without entering the room and silently. When it is closed inside it keeps the room’s property of light and sound proofness. It has a door that can open from the outside for deliveries. When opened from the inside, no light comes in because the door will be closed on the other side. A special talking tube/”phone” that would be a simple air channel wire connected to a cone would be used to communicate with the assistant without needing to talk loudly through the walls. Ideally the materials used will be natural and/or eco-friendly. They should not smell. They should be resistant to mould. Panels could be something from 1×1.2 m big to 1x2m big. They should be light enough for a person to easily be able to handle a panel by themselves. The whole kit must fit in a small trailer or a small van when folded together. Ideally the panel and its connector are also structural and do not need another skeleton to reinforce the stability of the shelter. These kits could be made by a community or an eco-village to finance themselves in a ethical way that benefits the planet and people. They could also be a retreat center and teach people how to make their own BioPod kits which would lighten the labor if the work was reduced to sourcing materials, providing the machineries and teaching how to make the kits to motivated future owners. These are the ideas that came to me and I am looking forward to work more on this. I hope Andrew and I will be able to collaborate to design a functional, affordable, compact and nomad design of the ideal BioPod to enable more and more people to access dark room retreats safely. 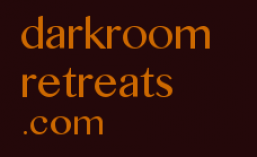 The money generated from the retreats, the kits, etc can be managed by a trust or a foundation that makes sure that its benefits are redirected to helping more people access the Darkroom retreats and support to grow the network of people that will take care of retreatants. Thank you Andrew for your dedication and your generous help and support, Thank you for your willingness and your work to make this more available to the world. Thank you Marion for bridging people and supporting Andrew, for believing and persevering with this. Thank you Joe, Kev and Eliot for enriching the study group with your energy, your heart felt sharing and your presence. Thank you Joachim for innocently making the mistakes that take us further and building the room together. Saving the world is not a one-man job, it’s a one human at a time job and everyone can decide to take their responsibility for it NOW! From my experience of community building, when the intention is guided and pure, and that several individuals unite their manifestation powers on that same intention, everything becomes possible! like my visual perception… After a few weeks was able to see myself with the strength to do activities that was too tired to do before and I realised that I was able to overcome the challenges in my life with much more ease and grace. So even in terrible conditions, my retreat and continuing to sleep in the dark has definitely increased my vitality. It just took me a little adjustment time to realise it! editor’s note: this is a google translation of extracts from the website: https://www.lecba-tmou.cz/ google translations are good enough to understand everything. Stay in the Dark provides such full information. it seems so well organised,so well built and provides the necessary services. much of the information comes from the hosts. and much of the information comes from the retreatants. from the information i can garner from other darkroom facility websites, they seem to pale in comparison with Stay in the Dark. yet that might only be a lack of information. even so, the comparitive lack of information pre-visit might indicate a lesser level of in house nurturing conditions for the retreatant. if one is travelling more than a few hours, information is vital, as well as easy contact with the factilitators. i do not know. you have to decide for yourselves. – Stay in the Dark receives 5 stars for every criteria below – they say “According to us, staying in the dark is only a stay in the dark, nothing more, nothing less.” – that is brilliant, so good. According to us, staying in the dark is only a stay in the dark, nothing more, nothing less. Likewise, the contribution for staying in the dark is entirely voluntary. We have no conditions for staying, you can come alone or in a couple for 3 nights and a month. We do not go to any religion or technical or spiritual school. We are for freedom and love. Welcome to the site for a quiet stay, stay in the dark, sometimes called dark therapy. We rely on 70% of our eyesight, and we pay much attention to the world. To solve personal problems, you need to look inside us and turn off “classic” eyesight. Dark Therapy is performed in a shade that is absolutely dark. Thus, staying in the dark helps to connect more with its higher self , with its personal divinity (intelligence, light, source) that can solve our problems . While staying in the dark does not solve the symptoms, but they pull out the problems with the roots . “Do not see for the eyes” is our motto on the path to self-knowledge. On these pages you will find both stays in the dark at Kutná Hora and you will find also the experience of practitioners. Staying in the dark is good for anyone who feels that darkness is the right choice for him. At the same time we are love, we are you, you come to a stay in the dark and we are you too. When you come to the darkness, we will not try to offer anything, we do not have the desire to give you something to have a better life, or to live well. We are not more spiritual than you or anyone else, we are people who love life as it is. We are not enlightened, nor are we a guru from India who only wakes you up to consciousness. Although it is not essential for your stay in the dark, let us introduce you something about us. We were born in Most at the turn of 1977 and 1978 and entered the marriage in 1998. Until 2014, we lived at the Ore Mountains in Litvínov and Horní Jiřetín, and now our life went to Kutná Hora to Lomka. Currently (March 2017) we have 3 children and 4th blessings on the way we are waiting in July. We attended several courses and techniques, visited temples in India and recognized beautiful people and places. And all this has guided us in the direction that the greatest treasure everyone has hidden in them. We do not recognize any religion, although we are not atheists, so we respect freedom of religion. We do not believe in positive thinking because the division into positive and negative does not make sense to us. We love both the light and the dark side of the power, because life can be said to live fully upon the reception of the whole and not just its half. We live, as Jarda Dušek says, the dream of a warrior, when we recognize ourselves and perceive that we are not the victim of the enemy’s universe, that everything is interconnected, and that the universe is one living being. Although we often see and feel what you are experiencing and what specifically would help you, we usually stay back and wait until you ask ourselves because we believe you can not wake up a man who wants to sleep. You will not hear from us that you are doing something wrong or that something is worthless because we know that everyone is just taking another step on his way through life, and that way is the goal, the present moment in which everything is happening. We love freedom and we love discovering new things and getting to know new people. We are very pleased to learn about the masculine and feminine principle of energy and thus to explore and enjoy the polarity between man and woman. If you come to stay in the darkness to Kutná Hora, we will be glad if you come to another center, we will also like it and if you are not your time and you are not sure you can be absolutely calm. Friends, we wish you wonderful life and sometimes in the dark to see. Some participants in the dark prefer fasting only to water, others normally eat. It depends on everyone how it feels. In the shrine, participants report that they have less need for food, that is, they eat less food than usual. Another factor is the refined taste that condemns the spicy foods. That’s why we always try to provide food with minimal spice and in such a combination that it tastes good and at the same time it can be eaten at dark therapy. The meal is delivered once a day in the meals. Usually between 11 and 15 hours. We deliberately do not want to get used to you for a certain time, because the loss of the concept of time, meaning that you do not know exactly how many hours are, is a desirable helper in deepening contact with the higher self. Comfortable clothes and shower only with water, we strongly ask for eco shower gel, but only water is better. The waste water from the plant is watering the garden. In the toilet, just throw toilet paper, we use special eco paper with enzymes. 1. I am an adult and I do not hinder me from staying in the dark in a windowless cottage, and I have decided voluntarily on my own free time to stay in the dark. 2. All the information I provide is true. 3. I do not suffer from any form of psychic illness such as claustrophobia, schizophrenia, manic-depression, etc., and I have never suffered. 4. I do not suffer from any illness, nor am I being treated with drugs that would prevent me from staying in the dark. 5. I have studied the website www.lecba-tmou.cz and I am acquainted with the details of staying in the dark through the site and / or in personal conversation. 6. I know that the stay in the dark is in utter darkness. The beginning of my stay in the darkness I decide to turn off the light and whenever I can turn the light or the garden cabin off again. 7. I undertake to immediately terminate my stay in the dark in the event of mental, psychological or physical problems or any other reason for terminating my stay in the dark. 8. I am not under the influence of narcotic or psychotropic substances and I undertake not to take them before the stay, during the lease or immediately after the termination. 9. I understand that premature termination of residence does not entitle me to a refund of the voluntary contribution even in a proportionate part. 10. I agree that I have 100% responsibility for my actions and my stay in the dark, and for any damages whatsoever for the deposited or deferred things, for any consequences or harm, both physical and psychological, possibly arising from my voluntary stay in the darkness of the cottage no claims for compensation, whether moral or financial towards the Guide, have been made. Posted in 1 my darkroom retreat, darkroom retreat facility.